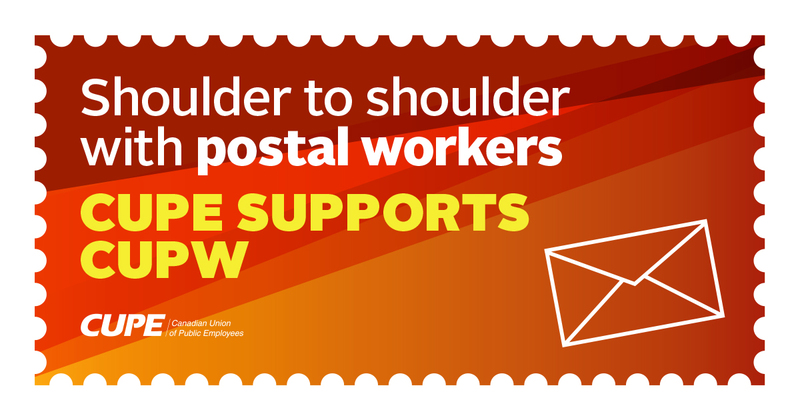 Canada’s striking postal workers have the full support of the Canadian Union of Public Employees (CUPE) and its 665,000 members nationwide. During the 2015 election campaign, Justin Trudeau called out the Harper government for “rolling back many fundamental labour rights that affect workers’ ability to organize freely, bargain collectively in good faith, and work in a safe environment.” Yet here we are today, watching the Liberal government under Prime Minister Trudeau legislating striking postal workers back to work. His predecessor, Stephen Harper, did the same in 2011, but with one important difference: at least Stephen Harper allowed for a debate in Parliament. The Liberal government’s draconian procedural measures have ensured its back-to-work legislation will sail through the House of Commons in a matter of a few hours. Postal workers have been on rotating strikes to demand equal pay and safer workplaces. But rather than allow them the opportunity to collectively bargain for fairness and safety in their jobs, causes the Liberals claim to support, the government has come down squarely in the corner of management. This decision from Trudeau and Employment Minister Patty Hajdu sets a dangerous precedent and sends a clear message to employers everywhere: don’t bother bargaining, we’ll bail you out. Collective bargaining is how meaningful progress is made in the lives and livelihoods of working people. That’s why it’s a right protected by the Charter of Rights and Freedoms. Mr. Trudeau had a choice to make this week and, unfortunately, he has chosen to join the ranks of Stephen Harper and others who worked to undermine those rights, rather than respect and strengthen them. In tabling this legislation, Trudeau has betrayed not just postal workers, but all working people in Canada.